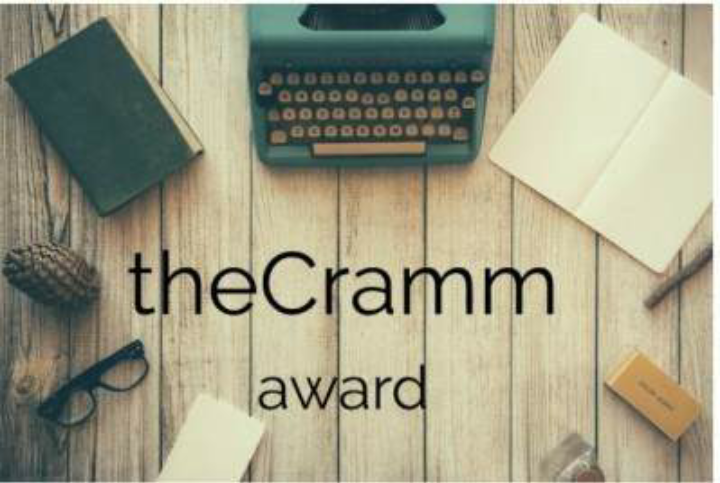 Thank you, dear Tapasi for having nominated me for the the Cramm award. I recommend to visit her interesting blog. What I also like is that this blogging friend, Tapasie, is straight forward and honest. Please, see and read yourself what she is offering us in her blog. Mention the person who created this award with a link. Mention the person(s) who nominated you. Share three people who inspire you to blog. Share one thing you hope to do to improve the world. 2. To give attention to the project Kirpal Sagar, which is a place for the whole mankind, where all religions are peacefully under one roof. 3. To be in exchange with other bloggers and get to know their experiences as well on many different fields. 3. Biji Surinder Kaur (wife of Dr. Harbhajan Singh), who was likewise involved in building Kirpal Sagar, a place that belongs to the whole mankind. The ancient teaching from all competent Masters coming into the world in different times and even in different religions, spoke with one voice: “Man know thyself” – When we get to know ourselves and deeply dive into our mind – how it works, how we are trapped in it in all kind of forms: like being angry, colour of hate, lust, ego, attachment etc. – when we go to the roots of the motivation of our mind that controls us, dictates our deeds, words and thoughts – then we slowly start to understand that we are all ONE in Him (in God) – then we can start to control our own mind and we can change ourselves to be in harmony with all people around us with respect, love and honour towards God’s whole creation and His creatures. Then we learn that we are all brothers and sisters in Him and as such we can treat us too, no matter which religion we belong to, or nation, or skin-colour – then we can treat us as real human beings and contribute something (our own change to the better in knowing ourselves) to make our world a bit better. Challenging question: What is your meaning of life? For me the purpose of life is to solve the riddle of life and death. What we really are, where we come from and where to we have to go. For this discipline is necessary to weed out all our shortcomings and consciously see how our mind really works – we are then our own spectator, observer and can find the cause, why we thought like this or that, why we do this or that, or speak this or that – to find the real reasons and motivations of our mind. Once with pure honesty towards ourselves, others, and towars God, we discover how the snake in us (our own mind) is functioning – if thoughts are coming in a selfish way, if pride is the reason for writing or speaking this and that, if the motivation is lust or anger or hate – this all can be discovered with a strict and disciplined observation of our own mind. Congratulations to all bloggers chosen here in this list. In fact, all have deserved it to be nominated – so my thanks goes to all bloggers. Regarding the nominees listed here: Please, feel free to participate. It’s a voluntary participation. So no problem if you do not want to particate in this blogging award. May we all have a great time in the process of developing ourself. With Gandhis words: “Be the change if you want to see a change in the world.” So we have to change ourselves, then we start to take responsibility in respect and love to everybody.